A simple, safe and user-friendly interface so that even a novice can use this tool without any complications. Supports digital picture recovery from the hard drive and all other storage drives that can be accessed through the computer. In order to evade saving of unwanted pictures, it facilitates to preview pictures before restoring them. One of the strongest tools available in the market to restore memory card photos. Recover both generic and RAW image file formats created by many DSLR's. Have you ever witnessed the situation of losing pictures of your unforgettable moments? In case if you lost pictures in any circumstances, no need to fright. Various tools are available which helps you to come out of such crisis, but make sure that you have chosen the appropriate tool. Digital Picture Recovery tool is one such robust tool which can perform digital photo recovery in a few simple clicks. Accidental deletion: It is the major reason for losing digital pictures. Deleting superfluous photos is a common practice to free up the storage space for further use. While deleting redundant pictures, users might unintentionally strike delete button on some of his important pictures or press delete all button which leads to loss of digital pictures. In such scenarios, you can recover photos from the digital camera using the recovery software. Virus Attack: Sometimes viruses or malwares do infect your storage drive and make it inaccessible. If the corrupted drive has some of your important pictures, then probabilities of losing valuable images are pretty more. Formatting: Another reason for digital pictures loss is the formatting of the storage drive. Sometimes users accidentally format their storage drives like memory cards, USB drives etc. If the user doesn’t have a backup of pictures stored in the formatted drive then the user will lose all valuable images. Unexpected shutdown: If you suddenly shut down your computer while viewing the pictures, it might lead to severe loss of important pictures. Other reasons: Some other causes like software error, file system corruption, trying to capture the pictures while the camera is running on low battery, improper plug and play of your memory card, deleted by third-party tools etc might result in loss of digital pictures. Note: Even though if you lose pictures, still you have chance to perform digital photo recovery but make sure that storage space is not overwritten by other files. Instead of bothering after losing pictures, it is always advisable to keep backup of all your important files. Why is Digital Picture Recovery the ultimate tool to retrieve pictures? Restore images from iPod, flash drives, memory cards, hard disks etc. This utility has an inbuilt scanning algorithm that scans the complete storage drive and recovers pictures in a few minutes. Provides an option to add/edit file signatures, in case they are not listed. Restores all types of RAW image files from professional DSLR cameras and camcorders. Non-destructive and virus-free software to recover photos on Mac systems. Supports picture recovery from storage drives like external hard drives, FireWire drives, flash drives, iPods, memory cards, etc. Facilitates you to restore the particular type of image formats by using the file signature option. An inbuilt Find option eases you to locate the particular file on the basis of their filename, file size, extension and date of creation. A professional support team of the tool provides assistance to all your hassles at any time. Facilitates to save the recovery session to avoid re-scanning of the storage drive. Learn how to retrieve deleted photos from a laptop, PC, tabs and various memory cards in few simple steps. Sony camera is one of the popular brands of the digital camera which provides high-quality pictures. Sometimes you may lose pictures from it by mistake. By making use of the recovery tool it has become easy to carry out the digital photo recovery process. So you can use this tool to perform the recovery process. Supported picture formats: JPEG, JPG, TIF, PNG, TIFF, GIF, BMG, PSD, CR2, NEF, CRW, ARW, ORF etc. Supported RAW photo formats: RAW, X3F, PEF, DNG, KDC, RAF, DCR, K25 etc. Supported digital camera brands: Nikon, Olympus, Kodak, Panasonic, Canon, Sanyo, Fujifilm, GoPro, Sigma, Samsung, Casio, Minolta, Sony etc. Recover RAW Photos: Are you in a frustrating situation which has happened due to the loss of RAW images from your camera? If yes, don’t panic, because this Digital Picture Recovery tool is capable of restoring different types of RAW files from various cameras. Check out this page, to know more about RAW photo recovery. 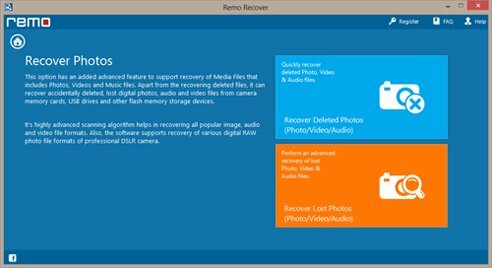 Retrieve Deleted Pictures on Windows 10: Are your valuable photos got deleted from a Windows 10 machine and are you struggling to get back those files? 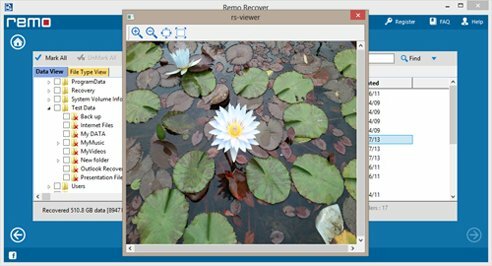 Then, use Digital Picture Recovery tool to retrieve deleted pictures on windows 10 without facing any difficulties. Recover EPS File: EPS is a PostScript file which is also called as graphic file format as it contains graphics, text and images. But sometimes, this file may get deleted or lost due to several reasons. So, in such situations, you can make use of Digital Picture Recovery software to restore EPS files within few clicks of the mouse. For more details, visit: digitalpicturerecovery.net/eps-file.html. Recover BMP File: Have you accidentally deleted or lost BMP image files from your system, digital camera or memory card? Don't Panic as here is the ever best way to recover BMP files back in few easy and simple steps. You can visit this page for more info: http://www.digitalpicturerecovery.net/bmp-files.html. GIF Recovery: Is your GIF image files got deleted or lost from your system and would you like to know how to restore it back? If yes, then make use of this advanced and efficient Digital Picture Recovery Software and recover GIF images. To get detailed information about GIF recovery, visit the following link: http://www.digitalpicturerecovery.net/gif.html. Recover Photos from Sony Xperia: Digital Picture Recovery software helps you in performing photo recovery from Sony Xperia series of Smartphones. Along with photos, it also helps you to retrieve files like video, music and applications that are lost or deleted due to some common reasons from your Sony Xperia Smartphones. Blackberry z10 photo recovery: Do you want to know how to recover deleted or lost photos from Blackberry Z10? Then go to this page: www.digitalpicturerecovery.net/blackberry-z10-photo.html that has explained Blackberry z10 photo recovery process in detail. Recover Pictures from Flash Drive: Have you lost your essential pictures from the flash drive and want to know how to recover pictures from flash drive? If YES, then don't panic as picture recovery from a flash drive can be easily done by using Digital Picture Recovery Software. For more details about picture recovery from flash drive go to: http://www.digitalpicturerecovery.net/from-flash-drive.html. How to Recover Deleted Photos from Kodak Camera? : Accidentally deleted your precious pictures from Kodak Camera? Don't worry! Make use of efficient Photo Recovery Software to successfully recover deleted photos from Kodak Camera due to several reasons. Hence, it is one of the best recovery software you can make use of. Recover Photos from Corrupted SD Card: If your SD card gets corrupted then the data stored on it will be lost even including your precious photos. So, in order to recover photos from corrupted SD card then you can make use of Digital Picture Recovery Software. For more info visit: http://www.digitalpicturerecovery.net/photos-from-corrupted-sd-card.html. How to Recover Deleted Pictures? : Do you want to know how to recover deleted pictures or photos from your storage device? Don't get worried, it is possible to recover deleted pictures by using an advanced tool called as Deleted Picture Recovery Software. Visit http://www.digitalpicturerecovery.net/how-to-deleted.html to know more in detail. How to Recover Virus Infected Pictures? : Is your images corrupted due to virus infection and you are not able to view your infected images? Don't worry! With the help of advanced Picture Recovery Software, you can easily get back all your images deleted due to virus infection. For more info, visit this page: http://www.digitalpicturerecovery.net/how-to-virus-infected.html. Recover photos from MacBook Air: To recover accidentally deleted or lost photos from MacBook Air use efficient Mac Photo Recovery Software. Apart from photos, this software can also recover files like music, videos, documents etc. without any difficulty. Visit this page www.digitalpicturerecovery.net/macbook-air-photo.html for more details. Clear Safari Cache on Mac: Do you want to clean safari cache on Mac without following a number of cumbersome manual steps? If yes then here is the best software i.e., Remo MORE using which you can easily clear Safari cache on Mac in not more than 5 steps. Recovering Pictures from XD Card: If you are looking for a flash memory card that supports high-resolution images then, XD card offers you the quality and capacity required. No worries! for any deletion/loss of pictures from XD card as recovering pictures from XD card is a quick process using XD Picture Card Recovery software. Go to this page: http://www.digitalpicturerecovery.net/from-xd-card.html to get the detailed info. Automatic Android Cache Cleaner: It is not possible always to search for the option for cleaning cache and do it by yourself due to some or the other reason. Automatically clear cache on Android using Remo MORE software. Memory Performance Optimization on Windows 7: The computer performance slows down with time. You can improve it by the manual way but it is very difficult and time-consuming to perform all the functionalities. 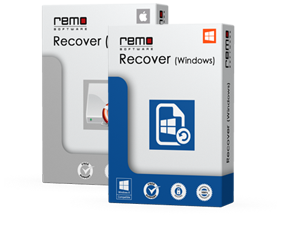 In that situation, Remo MORE can be used which is the best Windows 7 memory optimization software. Recover Pictures from Memory Stick: To recover deleted or missing pictures from your digital camera’s memory stick, make use of the best digital photo recovery tool. Whatever may be the reason for the deletion or loss of the pictures, this tool will surely bring all your precious pictures back. Software to Recover Pictures from a Hard Drive: This powerful utility is capable to recover photos from the different hard drive like SCSI, SATA, ATA, IDE, etc. It supports recovery from various storage devices like USB, pen drive, memory card, etc. on all Windows and Mac OS. 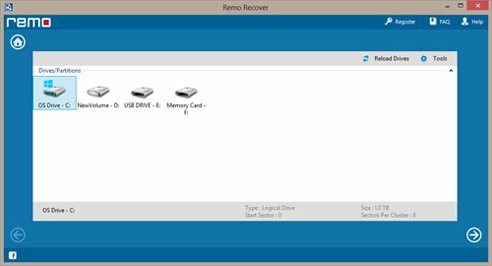 Recover Pictures Deleted from Recycle Bin: One can use this software to restore pictures even if they are deleted from Recycle Bin. It supports to recover all types of photos such as JPG, JPEG, PNG, BMP, TIF, TIFF, RAW images, etc. Recover NEF Files from CF Card: It is a powerful application used to recover NEF files from Nikon camera memory card, when the unexpected events happen such as accidental deletion, unintentional formatting, CF card corruption, etc.